I don't know if it's because I'm a mom or because I am a practical person by nature. Whatever it is, I know that this characteristic of mine greatly affects my shopping habits. Bad in a sense that it makes me tend to hoard. Say for example I find a pair of basic shorts that fit well, if it's available in different colors, I'd probably pick up more than a pair because I figure I'd wear them over and over again. Sometimes true, but only in a single color and the rest would be shoved to the back of my closet. I'm practical with a lack of self-control. Haha, how ironic. And I have a soft spot for classic pieces. If you take a peak into my closet, you will find a good number of striped shirts, button downs and jeans. I have too many pairs because I tend to buy them even if they aren't 100% perfect. If it fits and it's in a wash that I've been looking for, I usually get it. And then several months after, I find a pair with an ideal fit and combination of wash, pockets, length etc. What happens is that the previous pair is (again) shoved to the back of my closet. The smart thing would be to sell them but since I loved them for a time, I can't bring myself to re-sell. This year, I'm planning to really pare down my closet. Sell the majority of my things and just keep a few pieces I love. If I'm able to do that, I'll write a book! Haha, seems impossible but I will really try to control my spending and keep things to a minimum beginning now. I know it's wrong to kick things off with a shopping spree but sometimes, you need to find perfect pieces in order to get rid of the "pwede na's" (which in my case make up the majority). And when better to shop than now??? 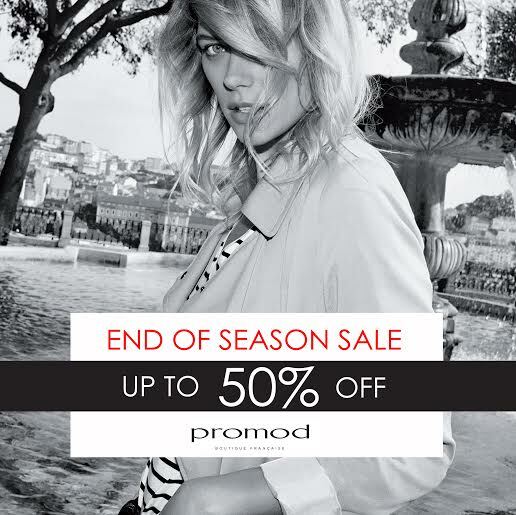 While most stores are having their END OF SEASON SALES!!! First shop on my list? ProMod! Being a French brand, I love how most of their pieces are timeless and can withstand trends for many years. Definitely a good place to shop for my new "bare bones" wardrobe. I must've seen the magic word from your blog entry...the four letter word called SALE. And I think I'm like that too. I love to make tipid by shopping sa sale but like the typical woman, I shop in bits pero madalas. haha! Nice photos! 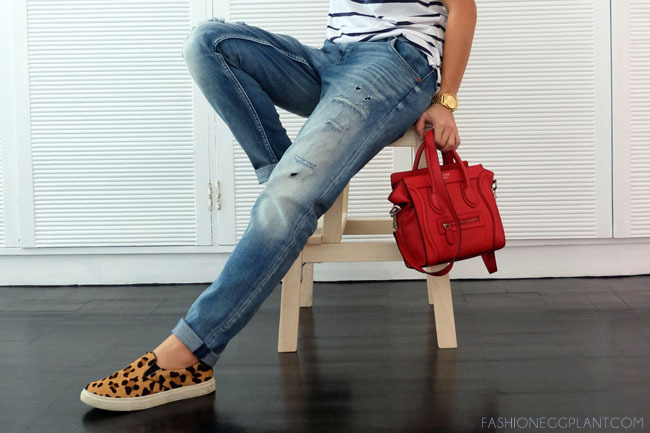 And love those jeans! How much are their jeans on sale price? Selling clothes is a great way of paring down your closet! Have actually done the same but end up giving it away. I should check out this sale, too! Like you, I love investing in classic pieces although, sometimes, I buy trendy clothes on impulse (and never wear them again). Nice blog you have shared here about fashionable cloth with matching accessories.At dealbola you can Buy Women's Hoodies Online at reasonable prices.